General Electric, once America's most valuable company, is now in sharp decline. In a year full of dubious landmarks, GE has encountered another: The storied conglomerate is now worth less than $100 billion. That hasn't happened since March 2009 -- during the Great Recession. GE's (GE) stock crash -- down by nearly two-thirds since the end of 2016 -- has knocked the company down to the 59th most valuable in the S&P 500. It's a stunning reversal. GE was No. 1 in the S&P 500 as recently as 2004, according to S&P Dow Jones Indices. At the time, it was worth nearly $400 billion. Now GE is worth just a tenth of Apple (AAPL), the $1 trillion top dog of the market, and it's fallen behind Salesforce (CRM), PayPal (PYPL) and Nvidia (NVDA). GE's struggles got it kicked out of the Dow Jones Industrial Average this summer. GE was an original member of the exclusive index in 1896 and had been in it continuously for 110 years. Plunging profits and mounting debt have driven GE's shares down by 35% this year. Only four S&P 500 companies have had a worse 2018. The most remarkable part about GE's decline is it comes at a time when the American economy and stock market are soaring. Rival industrial companies including Honeywell (HON) and United Technologies (UTX) are booming. But GE has been hobbled by years of poorly timed deals and needless complexity that have finally come home to roost. 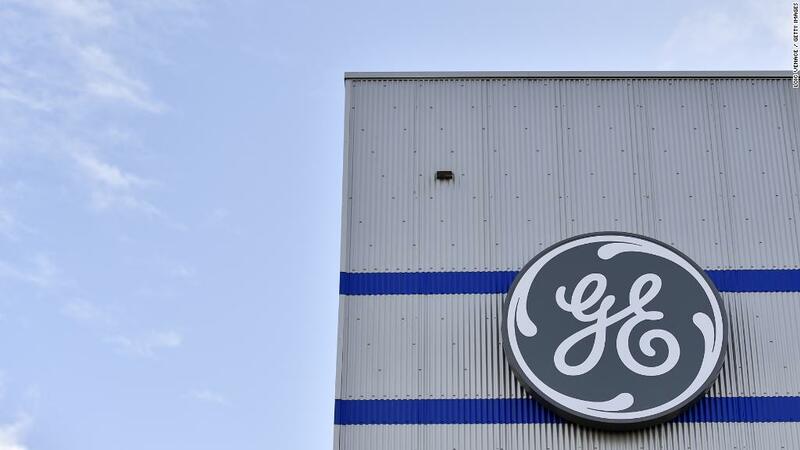 To pay off debt and jump-start the stock, GE is selling off countless businesses, including its century-old railroad division, Thomas Edison's light-bulb unit, Baker Hughes and the health-care unit that makes MRI machines. Selling in GE's stock has accelerated in recent days because of worries about GE Power, the most troubled part of the slumping conglomerate. GE confirmed last week that two of its gas turbines failed, forcing the closure of power plants. The turbine trouble could hurt the company's reputation and sales at a time when it's already strapped for cash. In a statement, GE said that it has "identified a fix" and has been working with customers to "quickly return units to service." JPMorgan Chase analyst C. Stephen Tusa, Jr, Wall Street's biggest GE bear, told clients the turbine failure "raises red flags" about GE Power. Others think that shareholders are overreacting. Most likely, GE's "fundamental technology is sound" and repair costs will be "manageable," Bank of America analyst Andrew Obin wrote to clients.